After scoring just five runs in three games in Miami (two losses) guess what happened last night in Atlanta. The Phillies had their biggest first inning of the season scoring five times. It paved the way for a 7-5, the third straight time they’ve won the first game of a series on this 10-game trip. Problem after that was winning another game. 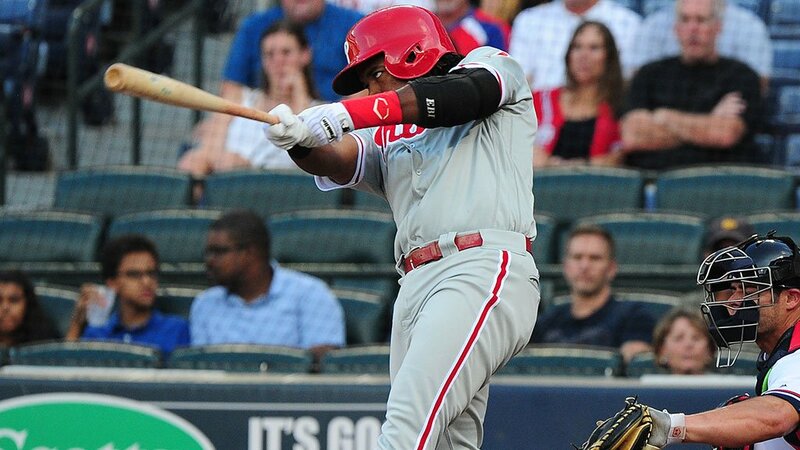 Maikel Franco’s three-run homer followed by a solo blast by Tommy Joseph got the game started for the Phillies. Franco’s homer was his 19th, five against the Braves who have lost five straight to the Phillies. Aaron Altherr had three hits in his first game off the disabled list. Included was a two-run homer in the fifth that gave the Phillies a 7-0 lead and turned out to be the margin of victory. Aaron Nola won for the first time since June 5 but lasted only five innings (95 pitches), giving up three runs in his last inning. That inning began when Odubel Herrera lost a ball in the lights for a triple. Franco, Joseph and Alterr, the 3-4-5 hitters, each homered, the second time this month that happened: Cody Asche, Franco and Cameron Rupp on July 3 vs. KC. Before that, Chase Utley, Darin Ruf and Delmon Young against the Braves, August 2, 2014. (Elias Sports Bureau). Clearwater: RHS Shane Watson, activated from the DL; RHS Ranfi Casimiro, placed on DL. Lakewood: 3B Jan Hernandez, activated from the DL; RHR Grant Dyer, added to roster from Williamsport. Dyer was an 8th-round selection this summer out of UCLA. Lehigh Valley IronPigs (63-41), 2nd place, International League North Division. Season resumes at 7:05 tonight in Rochester, Phil Klein (1-0). Six-game winning streak vs. Erie ended with a 5-3 loss that started a 4-game series. LP: Nick Pivetta (9-6), 5-5-4-4-3-4. 1B Rhys Hoskins, 2-run HR (30). Only other player in Reading history to have 30 before August 1 was Ryan Howard in 2004 when he finished with 37. CF Osmel Aguila, HR (4) . . . Anthony Vasquez (8-3), 7:05 tonight in Erie. Clearwater Threshers (21-14), 1st, 2nd half, Florida State League North Division. Lost, 13-5, in Daytona. LP: Shane Watson (3-4), .2, 5-6-0-1-0. The 6 unearned runs came in the 1st inning. Josh Tobias, who played 2B and then 4 innings in LF, 4-4 in his 2nd game with the Threshers, including 2 doubles, BB, 2 R. His error paved the way for the big 1st inning . . . Drew Anderson (1-0), 7:05 tonight in Ft. Myers. Lakewood BlueClaws (19-13), tie 2nd place, 2nd half, South Atlantic League North Division. Won, 3-2, in 10 innings in Augusta on 2B Grenny Cumana’s RBI-1B, his 2nd hit. Win was the 8th in last 10 games and moved them to within ½ game of 1st-place Hagerstown. LF Zach Coppola, 4-4, 2 R. WP: Austin Davis (1-0); SV: Sutter McLoughlin (5) . . . Jose Taveras (4-7), 7:05 tonight in Augusta. Williamsport Crosscutters (24-15), 2nd, New York-Penn League Pinckney Division. Lost just their 4th home game in 20, 2-1, to 1st-place State College, falling 2 games behind. LF Mark Laird, 2 of the Cutters’ 4 hits, lone RBI. 1B Darick Hall, 10th HBP, most in the league . . . Adonis Medina (4-0), 7:05 tonight in State College. Gulf Coast League Phillies, (21-9), 2nd place, Northwest Division. 2-1 loss to Yankees West at Carpenter Complex. ND: Brandon Leibrandt, 6-4-0-0-1-6; 1 PO. LF Ramon Quinn, 2-4, SB, CS, PO. CF Mickey Moniak, 1-3, BB; has hit safely in 8 of last 9 games, .389 . . . 12 noon today vs. 1st-place Blue Jays at Carpenter Complex. Phillies purchase contract of RHP Larry Andersen from Seattle Mariners. 2B Juan Samuel and CF Von Hayes are the first Phillies to hit back-to-back home runs to lead off a game, a 6-4 win over Montreal at the Vet. 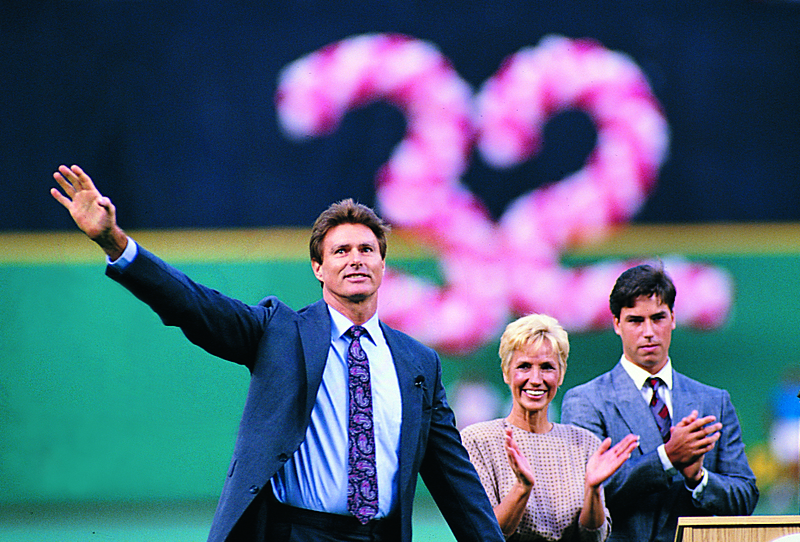 Phillies retire LHP Steve Carlton’s #32 in pre-game ceremony before 47,277 at the Vet. LHP Steve Carlton, the winningest pitcher in Phillies history, is inducted into the Baseball Hall of Fame. The Phillies were playing good baseball when the All-Star Game arrived. While definitely a long shot, they were six games out of a wild card berth. Staring at them out of the second-half gate were 13 straight games against four teams in the races. That 13-game span ended unceremoniously yesterday in Miami, an 11-1 licking. It was loss #nine. The young arms held their own but the young bats disappeared. Offensively, they averaged 2.6 runs per game while striking out 9.2 times per game. Only Atlanta has scored fewer runs (346) than the Phillies (362) in the majors. Atlanta is where the Phillies are starting a four-game series tonight against the Braves. The Phillies, with a day game yesterday, got to Atlanta before the Braves who had a night game in Minnesota . . . Aaron Altherrr’s 20-day rehab assignment has ended. He played for the Gulf Coast League Phillies, Clearwater, Reading and Lehigh Valley. **Phillies lead this year’s series, 6-3, but the Braves have won the last four season series. **They are 14-36 at home, poorest record in the majors. **4-8 since the All-Star Game. **Williams Perez who allowed one run in beating the Phillies twice this season is on the DL. **This is the last season for Turner Field. Clearwater: 2B Josh Tobias, transferred from Lakewood. Swept a 3-game series from Syracuse, 6-4. Luis Garcia picked up 6th save, retiring last 2 batters with the bases loaded. WP: Ben Lively (5-4), 6.2-8-3-3-0-5. LF Nick Williams, 27th 2B, RBI. RF Aaron Altherr, 1-4 RBI . . . . . . Day off today. Season resumes at 7:05 Friday night in Rochester for 3 weekend games and then back home again on Monday night. Reading Fightin’ Phils (70-34), 1st place, Eastern League Eastern Division. Pre-game, Pat Burrell, Nick Punto, Jason Michaels, Eric Valent, Gary Burnham and former broadcaster Steve Degler were inducted into the Reading Baseball Hall of Fame. Clearwater Threshers (21-12), 1st, 2nd half, Florida State League North Division. Lost, 2-0, in Daytona. 2B Josh Tobias, 1B, BB; CF Carlos Tocci, 2 H. LP: Luke Leftwich (2-3), 6-4-2-2-3-7 . . . 7:05 tonight in Daytona. Lakewood BlueClaws (18-13), tie 2nd place, 2nd half, South Atlantic League North Division. Season resumes at 7:05 tonight in Augusta, Franklyn Kilome (3-7). Williamsport Crosscutters (24-14), 2nd, New York-Penn League Pinckney Division. Season resumes at 7:05 tonight vs. State College, Bailey Falter (1-3). State College leads Williamsport by one game. Same two teams meet in Williamsport on Friday and Saturday nights. The Crosscutters are 16-3 at home. Gulf Coast League Phillies, (21-8), 2nd place, Northwest Division. 10-game winning streak ended, 9-3, to Yankees West at the Yankee Complex in Tampa. 2B Dan Brito, 2 H, 2 R, 2 BB, 2 SB. CF Mickey Moniak, H, RBI, SB. SS Jose Antequera, 2 H, RBI, SB . . . 12 noon today vs. Yankees West at Carpenter Complex. June 17, 2012–Playing in Toronto, Thome leads off the second inning with a home run, his 100th as a Phillie. Thome becomes the 4th player in major league history with at least 100 home runs for three different teams, following Reggie Jackson, Darrell Evans, and Alex Rodriguez. Paul Hagen’s story about Philadelphia native Lee Elia–where is he and what is he doing—is posted in http://www.phillies.com/alumni. July 28, 2002–Phillies’ broadcaster Harry Kalas enters the broadcasters’ wing of baseball’s Hall of Fame as a Ford C. Frick Award winner. It is all a too familiar story this season for the Phillies. A well-pitched game by a starter without any run support. Last night Jerad Eickhoff was the victim. He allowed just one run on five hits in seven innings with eight strikeouts but received a big L on his record, his 12th, most in the NL. In five of those loses, the Phillies scored one run or less. Miami put the game away with four runs off two relievers in the eighth inning, 5-0. It was the fifth time the Phillies have been shut out. For the second time in a week, Tom Koehler silenced the Phillies bats. He’s held them to three runs over 14 total innings in two starts. Before that he was ripped for 14 runs while pitching only 16 innings over four starts. Ichiro Suzuki had one hit, his 2,997th. Will he get to 3,000 this afternoon? Since he started last night it is unlikely he’ll be in today’s lineup. Hall of Famer Honus Wagner got his 3,000th hit against the Phillies, June 9, 1914, in Baker Bowl off Erskine Mayer. He was the second player to reach that figure. Hank Aaron hit his 700th home run off LHP Ken Brett during the Braves’ 8-4 loss to the Phillies at Atlanta on July 21, 1973. For the fourth time on this road trip a Phillies starter left the game because of an injury. This time it was Peter Bourjos. He injured his right shoulder while crashing into the wall on yet another outstanding catch, robbing Ichiro of a first-inning hit . . . Phillies fly to Atlanta after today’s game for four games with the Braves which ends a 10-game road trip . . . Home Tuesday, Wednesday and Thursday with the Giants and right back out on the road to San Diego and Los Angeles (Dodgers) for six. 16 road games out of 19 means a lot of packing and unpacking suite cases. Lehigh Valley IronPigs (62-41), 2nd place, International League North Division. Swept a 7-inning DH from Syracuse, stretching winning streak to 4 games. 1st game WP: Jake Thompson (10-5), 5-7-5-5-1-3; 7th straight W; gave up a 3-run HR in 1st inning; LV came back with 7 in the 2nd, started by back-to-back HR from RF Cedric Hunter and 1B Brock Stassi (8); Hunter added his 8th HR later. LF Nick Williams, 3-run 2B (26th). SV: Luis Garcia (5). 4-2 in 2nd game. WP: Adam Morgan (4-1), 5-4-2-2-3-6. SV: Dalier Hinojosa (1). 1B Darin Ruf, R (13). RF Aaron Altherr, 1-3, a double . . . Ben Lively (4-4), 11:35 this morning vs. Syracuse. Reading Fightin’ Phils (69-34), 1st place, Eastern League Eastern Division. Lost, 5-2, to Binghamton. Lone runs were back-to-back homers in the 8th inning by Jorge Alfaro (12) and Dylan Cozens (26). 1B Rhys Hoskins, 1B, 3 BB. LP: Tom Eshelman (2-2), 4-3-3-3-2-2. Reading is 6-7 since the All-Star Game break . . . Ricardo Pinto (3-4), 7:05 tonight vs. Binghamton followed by a bus trip to Erie. Ah, life in the minors. Clearwater Threshers (21-11), 1st, 2nd half, Florida State League North Division. Won, 5-4, in Jackie Robinson Stadium in Daytona. WP: Elniery Garcia (9-2), 6-6-3-3-1-2. SV: Victor Arano (4). RF Jiandido Tromp, HR (6), RBI; 4th HR in last 6 games (hit 10 at Lakewood before promotion). CF Carlos Tocci, HR (3), RBI. 1B Zach Green, 3 2B, R, RBI. C Chace Numata, 2 H, 2 RBI . . . Luke Leftwich (2-2), 7:05 tonight in Daytona. Scoring 3 unearned runs without a hit in the 7th inning, Lakewood rallied to defeat Hickory, 6-3. 3 relieves tossed 5 scoreless innings with Zach Morris (5-1) getting the win, Ismael Cabrera (2) the save. RF Jose Pujols, HR (19), 2 RBI; leads all Class A players in HRs. 1B Wilson Garcia, 2 2B, R, RBI. 2B Josh Tobias, 2 H, R . . . No game today. Instead a bus ride south to Augusta, GA, baseball, not golf. 20-year-old LH Ranger Suarez tossed a 7-inning no-hitter against Auburn in the 1st game of DH, 4-0. He walked the 1st batter, started a 1-6-3 DP on the next batter and didn’t allow a base runner the rest of the way; struck out 5. He has yet to lose in the states, 4-0 this season and 3-0 a year ago in the Gulf Coast League. Scoring 4 runs in the 6th inning Williamsport extended its winning streak to 6 games, 6-2, in the 2nd game. WP: reliever Scott Harris (2-0). 4 different players had 2 hits each. CF David Martinelli drove in 2 runs . . . Day off today. Gulf Coast League Phillies, (21-7), 2nd place, Northwest Division. Mauricio Llovera, Kyle Young and Jordan Kurokawa combined for a 5-0, 2-hit shutout of the Tigers West at Tigertown in Lakeland. WP: Llovera (3-1), 5-1-0-0-1-8. 1B Edwin Rodriguez, HR (3), 3 RBI. CF Ramon Quinn, 1-3, R, SB. DH Mickey Moniak, 2-4, including a 2B . . . 12 noon today vs. Yankees West in Tampa. April 14, 2004: In typical Thome fashion, he didn’t waste any time. In the first inning, he fell behind 0-2 to Cincinnati right-hander Jose Acevedo. After working the count full, and with a myriad of flashbulbs going off around him, he launched the next pitch into the left-center field seats for his 400th home run. A few days later bronze plaque was placed at the exact location of the historic blast, Section 147, Row 4, Seat 6. July 27, 1935–2B Jose “Chile” Gomez, a native of Mexico, becomes the first Hispanic player to appear in a Phillies uniform. He is hitless in four at-bats in a 5-0 win over the Braves in Boston. July 27, 1966–Pitching classic in Dodger Stadium as Dodgers edge Phillies, 2-1, in 12 innings. Winner LHP Sandy Koufax strikes out 16 in 11 innings while loser RHP Jim Bunning fans 12 in his 11-inning outing. When the Marlins won three of four at Citizens Bank Park last week, their bullpen was the difference: 12.1 combined innings, no runs on five hits and four walks. Meanwhile the Phillies pen: seven runs on 13 hits and four walks in 13 innings. The worm turned in last night’s Phillies 4-0 shutout win in Marlins Park. Miami’s pen: four innings, three hits, four runs (two earned), six walks, 10 strikeouts. Phillies: three innings, one hit, two strikeouts. Jeremy Hellickson was brilliant, two hits in six innings on 70 pitches. In last two starts, both against the Marlins, he’s given up one run in 14 innings. He’s certainly impressed other teams who have been scouting him as the trade deadline nears (next Monday). Once again, it appeared that a solid start by one of the Phillies pitchers would go down the drain. Finally in the eighth Maikel Franco walked and scored on Tommy Joseph’s double. Three runs in the ninth iced the game, although the Phillies didn’t exactly mash the ball: one hit, HBP, two walks and two errors. “Phillies and Marlins are pretty even. They went into tonight, 5-5, this season. In their last 40 games, 20-20. In those games, Marlins have scored 3.7 runs per game; Phils, 3.6. Phillies have an edge in home runs, 30-28. Each team has committed 29 errors,” Phillies radio voice Scott Franzke. Shutout was the 11th for the Phillies, tops in the majors. And, it was their second combined two-hit gem, Nationals back in late April . . . In case you are wondering, the Phillies record for most shutouts in a season is 26 set 100 years ago, 16 by Grover Cleveland Alexander, an MLB record that still stands . . . 7:10 game tonight requires a “sleep fast night” with a 12:10 p.m. day game tomorrow. OF Jiandido Tromp, Clearwater… The 22-year-old right-handed hitter batted .471 (8-17) with a double, 3 home runs, 5 RBI, 2 walks, a stolen base and a 1.059 slugging percentage in 7 games. The Aruba native has 15 home runs between Clearwater and Lakewood this season, good for the fifth-most among all Phillies minor leaguers. Tromp, 5-foot-11, 175-pounds was signed by the Phillies as an amateur free agent on August 8, 2011. Also named MiLB.com player of the week for the FSL. RHP Sixto Sanchez, GCL Phillies… The 17-year-old made 2 starts combining to throw 9.0 scoreless innings with 1 hit and 1 walk allowed and 6 strikeouts. He tossed 3.0 scoreless, hitless frames on July 18 and followed that with 6.0 innings of shutout, one-hit ball on July 23. The right-hander ranks 2nd in the Gulf Coast League with a 0.67 ERA (2 ER, 27.0 IP) and 3rd in WHIP (6 BB, 14 H). 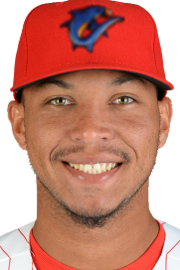 Sanchez, 5-foot-10, 160-pounds, was signed by the Phillies as an amateur free agent on February 20, 2015, out of San Cristobal, DR.
Lehigh Valley IronPigs (61-41), 2nd place, International League North Division. Rained out . . . Jake Thompson and Adam Morgan in DH tonight vs. Syracuse. RHS David Buchanan was named International League Pitcher of the Week, 2-0, 1 ER, 9 H, 15 IP. Riding a 3-game winning streak. Reading Fightin’ Phils (69-33), 1st place, Eastern League Eastern Division. Because of a storm, the start of their 7:05 game was delayed until 8:37 p.m. Tyler Viza (4-3) was brilliant, not allowing a hit until the fifth and tossing 7 innings of a 1-0 shutout win. He gave up 2 hits, walked 2 and struck out 5. He began the season 6-2 at Clearwater. The 21-year-old right-hander was a 32nd round selection in 2013. SV: Miguel Nunez (12). 1B Rhys Hoskins had 1 of 2 Reading hits, his 29th HR in the 2nd inning; he’s hit 4 in his last 6 games . . . Tom Eshelman, 7:05 tonight vs. Binghamton. Clearwater Threshers (20-11), 1st, 2nd half, Florida State League North Division. Were not scheduled . . . Elniery Garcia, 7:05 tonight in Daytona. Lakewood BlueClaws (17-13), 3rd place, 2nd half, South Atlantic League North Division. Rained out . . . Seranthony Dominquez, 11:05 this morning vs. Hickory. Williamsport Crosscutters (22-14), 2nd, New York-Penn League Pinckney Division. Rained out . . . Ranger Suarez and Felix Paulino in DH tonight vs. Auburn. Gulf Coast League Phillies, (20-7), 2nd place, Northwest Division. Won 9th straight game, 7-6, vs. Tigers West at Carpenter Complex. DH Mickey Moniak’s 3-run 3B capped a 4-run 7th inning that tied the score, 7-7. C Daniel Garner’s 2B drove in the winning run in the 8th. 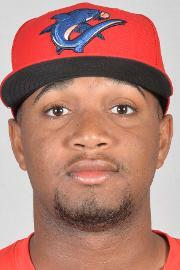 CF Roman Quinn had 1st rehab assignment, 1-3, 1 R. He last played 6/14 for Reading. WP: Nick Fanti (3-0), 2nd of 4 pitchers. SV: Tyler Frohwirth (5). Moniak, hitting .312, leads the club with 19 RBI . . . 12 noon today vs. Tigers West in Tigertown, Lakeland. LHR Daniel Stompf cleared waivers, was offered back to Royals who accepted and assigned him to AAA roster. Lehigh Valley, OF Aaron Altherr, rehab assignment transferred to LV; 2B Jesmuel Valentin, added to roster from Reading. 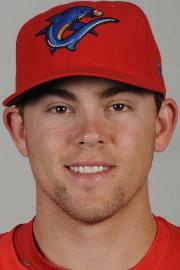 Reading: 2B Scott Kingery and RHR Jimmy Cordero added to roster from Clearwater. Jim finished his first season in a Phillies uniform leading the National League in home runs with 47. He was the Phillies first first baseman to do so. 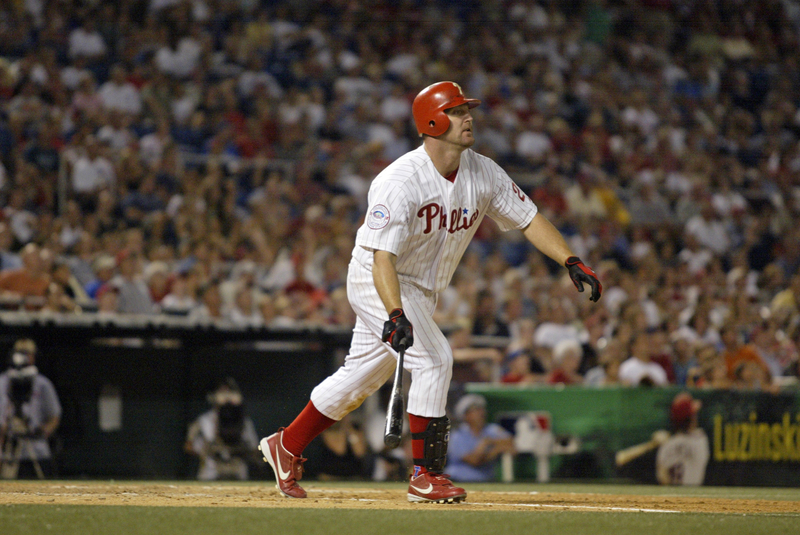 July 26, 2008–PH Greg Dobbs hits a 3-run homer vs. Atlanta at Citizens Bank Park giving the Phillies a 10-9 win. It was his 20th pinch hit of the season, matching the club record set by Doc Miller in 1913. PNC Park is a beautiful ballpark in a beautiful setting but for the Phillies it is a dreaded place. Zach Eflin was brilliant on Friday night, a walk-free, complete-game shutout. Last Phillies pitcher with that kind of performance within his first eight major league games was Art Mahaffey in 1960. Last Phillies rookie with a nine-inning shutout, J. A. Happ in 2009. Zach certainly has rebounded well from his drubbing in Toronto on June 14. A chance to win consecutive games and win a series in PNC Park for only the second time went down the drain as the Pirates won the next two even though the Phillies out-hit the winners in both games. Phillies left a total of 20 runners on base in those losses dropping them to 17-33 in the dreaded place that opened in 2001. In each game, the Phillies lost a starting player because of injuries, Maikel Franco (HBP) Cameron Rupp (HBP) and Andres Blanco (fractured left index finger after being spiked) . . . Since the All-Star Game break, the Phillies are 3-7 scoring 29 runs. In their first 10 games a year ago after the break, 9-1, 46 runs . . . The August 1 trade deadline has 14 Phils pro scouts busy getting 2nd-3rd looks at other teams’ young prospects this final week . . . From the heat and humidity of Pittsburgh to the heat and humidity of Miami. Marlins Park has a retractable roof and is more Phillies friendly. **Won their first ever series of four or more games against the Phillies in Philadelphia last week, 3-1. **Lost two of three vs. Phillies in May in Marlins Park but hold 21-19 edge there. **Fresh from dropping two of three home games to the Mets over the weekend. **Ichiro Suzuki is four hits shy of 3,000. **They lead the NL in infield hits, 93. Won last 2 of a 3-game weekend series in Louisville to move 20 over .500 for first time in franchise history. Sunday WP: David Buchanan (7-5), 6.1-4-0-0-1-2. Weekend HR: RF Nick Williams (10), 1B Darin Ruf (11-12) . . . Jake Thompson (9-5), 7:05 tonight vs. Syracuse, returning home after a 6-1 road trip. Reading Fightin’ Phils (68-33), 1st place, Eastern League Eastern Division. Won 2 of 3 from Hartford. C Jorge Alfaro had a walk-off double, 6-5 Friday night. Nick Pivetta’s 5-game winning streak ended Sunday, 6-0; first loss since May 28. Anthony Vasquez (8-3) tossed a 9-inning complete game Sunday, 10-4. LF Andrew Pullin, 5-13 weekend, 5th HR; hitting .378. 1B Rhys Hoskins, 4 hits, including 28th HR, 4 RBI. DH Jake Fox, HR (17) Sunday. OF Aaron Altherr played Friday and Saturday, 2-8, 3 R, BB, 2 SB . . . Tyler Viza (3-3), 7:05 tonight vs. Binghamton. 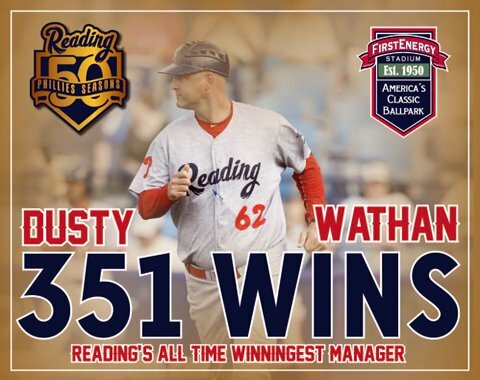 Dusty Wathan became the Reading franchise’s all-time winningest manager on Friday with his 351st victory. He passed Bill Dancy (1983-94, 1988, 1994-95). Won 2 of 3 at home vs. Ft. Myers. 5-0 Friday in a game called after 6 innings by rain. WP: Drew Anderson (1-0), 5.1, 3-0-0-3-6. 7-2 Sunday behind John Richy (3-4), 6-5-2-1-2-3. OF Jiandido Tromp, 3-7 weekend including 5th HR (plus 10 at Lakewood). Other HRs: RF Derek Campbell (9), 1B Zach Green (11) . . . Day off today. Dropped 2 of 3. Win came Sunday vs. Hickory, 15-3. WP: Alberto Tirado (2-1), 5-3-2-2-2-6, 2 WP. INF Grenny Cumana, 6-12 weekend, 3 R, 2B, RBI. RF Jose Pujols, HR (16) on Friday . . . Seranthony Dominiquez (2-1), 7:05 tonight vs. Hickory.
. . . Ranger Suarez (3-0), 7:05 tonight vs. Auburn. Gulf Coast League Phillies, (19-7), 2nd place, Northwest Division. Stretched winning streak to 8 games with 6-3 and 4-0 wins over Tigers East. Friday WP: Luis Carrasco (3-0); SV: Luis Gonzalez (1). HR: C Rodolfo Duran (#2), 1B Edwin Rodriguez (#2). Saturday WP: Sixto Sanchez (3-0), 6-1-0-0-0-4, lowered ERA to 0.67. Lone hit was a 1-out single in the 6th. CF Josh Stephen, 2-2, R, RBI, 2 SB. SS Cole Stobbe, 3-8 in the 2 games; hitting .400 in last 10 games . . . 12 noon today vs. Tigers West at Carpenter Complex. He hit the last home run in the 33-year history of Veterans Stadium, eighth inning, Saturday, September 27, 2003, off Atlanta’s Will Cunnane. 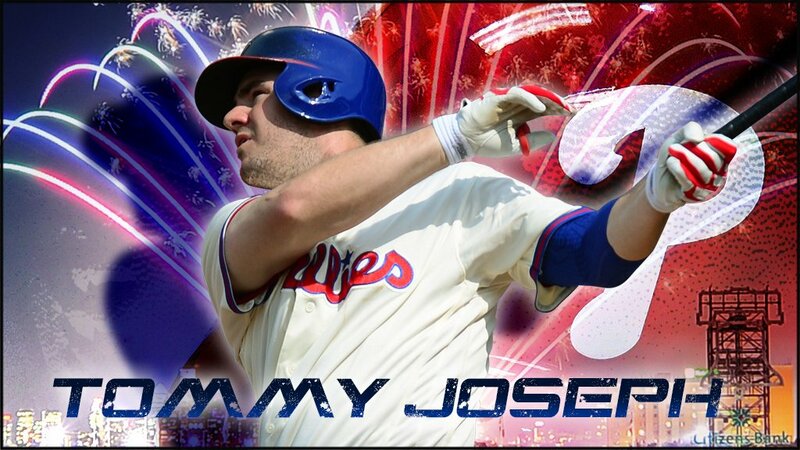 He led off the 10th inning with a double and scored the winning run on a single by Chase Utley. It was the Phillies last win at the Vet. July 25, 2015–Cole Hamels pitches 13th no-hitter in franchise history, 5-0, against the Cubs in Wrigley Field. He walked two and struck out 13. It was his last start for the Phillies as he was traded six days later. Getty Images photo. Good-bye Marlins but not for long. After losing three of four to the Marlins the Phillies are in Pittsburgh this weekend and then in Marlins Park for three games starting Monday. Jerad Eickhoff, who got roughed up by Miami last night, gets another chance next week. Phils also get another crack at Tom Koehler who dominated them last night. Going into the game he had allowed 108 hits and 52 walks in 100 innings. Last night, two runs, two hits, one walk in season-high eight innings. It doesn’t get any easier against the Pirates where the Phillies have lost their last six games in PNC Park, scoring just nine runs. Good news, on the road the Phillies are hitting .260 and are fifth in the NL in runs scored (196). They are last with a .218 average and 149 runs at home. 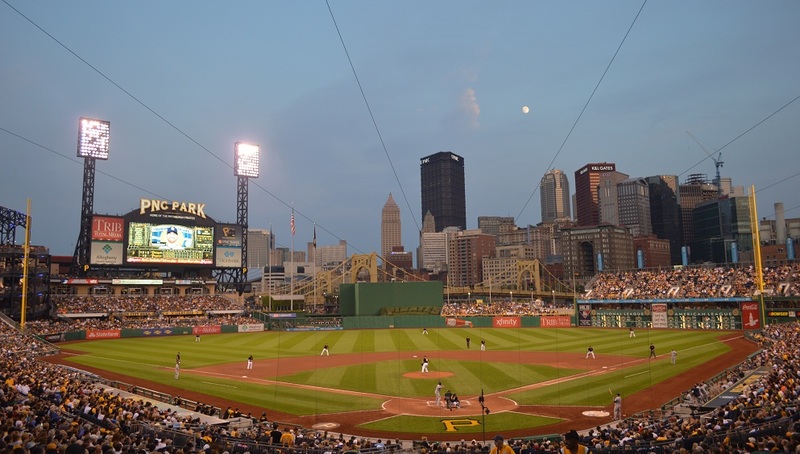 **Since PNC Park opened in 2001, they are 31-16 against the Phillies. Last Phils win, July 4, 2013, 6-4. **They have scored 443 runs and allowed 437. **After a dismal June (9-19), they are rebounding in July (11-5). **They have nearly twice as many doubles (173) as home runs (90). **Led by five by manager Hurdle, Pirates have 11 ejections this season. Lehigh Valley IronPigs (59-40), 2nd place, International League North Division. Won 4th in a row, 7-3 in Louisville. WP: Adam Morgan (3-1), 7-6-3-3-0-5. 1B Brock Stassi led a 14-hit attack with 3 hits, including 7th HR. 3B Darnell Sweeney (6) and PH Darin Ruf (10) also homered . . . Ben Lively (4-3), 7:05 tonight in Louisville. Reading Fightin’ Phils (66-32), 1st place, Eastern League Eastern Division. Lost 3rd in a row, 9-5, to Hartford. RF-CF Aaron Altherr, 1-3, RBI & HBP. 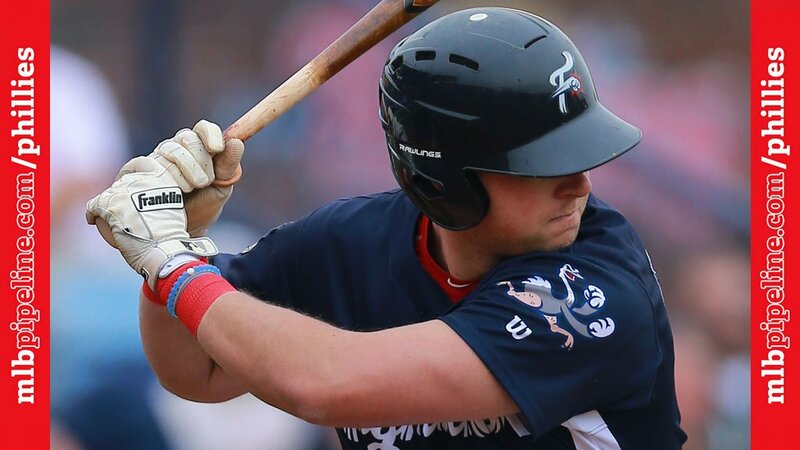 1B Rhys Hoskins, HR (27), 2 RBI (86) . . . Ricardo Pinto (3-4), 7:05 tonight vs. Hartford. Clearwater Threshers (18-10), tie 1st, 2nd half, Florida State League North Division. Edged Ft. Myers, 3-2. WP: Will Morris (6-2), 7-1-1-1-2-5; retired 1st 17 before issuing a walk; lost no-hitter on a 1-out HR in the 7th. SV: Jimmy Cordero (1). 2B Scott Kingery, 29th 2B, R. C Chace Numata, 2 H,RBI . . . Drew Anderson (0-0), 6:15 tonight vs. Ft. Myers. Lakewood BlueClaws (16-11), 3rd place, 2nd half, South Atlantic League North Division.
. . . Edgar Garcia (2-1), 7:05 tonight vs. Kannapolis. Williamsport Crosscutters (19-14), 2nd, New York-Penn League Pinckney Division. Won, 1-0, in 10 innings at Batavia, scoring without a hit: HBP, BB, SO, SO, BB, WP. ND: Bailey Falter, 6-3-0-0-1-10; had 25 strikeouts in 28.1 IP last summer in GCL. WP: Will Hibbs (1-1). CF Mark Laird, 2 of Williamsport’s 3 hits . . . Julian Garcia (0-2), 7:05 tonight in Batavia. Gulf Coast League Phillies, (17-7), 2nd place, Northwest Division. Sixth straight win, 8-3, over Pirates at Carpenter Complex. DH Jhailyn Ortiz, 1B, HR(6), RBI, 2 BB, SB; leads league in HR. CF Mickey Moniak, 2 H, R, RBI; last 6 games, 10-26, 7 R, 6 RBI. 1B Edwin Rodriguez, 1B, HR (1), 2 RBI . . . 12 noon today in Lakeland vs. Tigers East; 10 a.m. Saturday, same 2 teams at Carpenter Complex. OF Aaron Altherr, rehab assignment transferred from Clearwater to Reading. Phillies club record for homers by a first baseman, 34, set by Deron Johnson in 1971. Thome’s record lasted just three years. 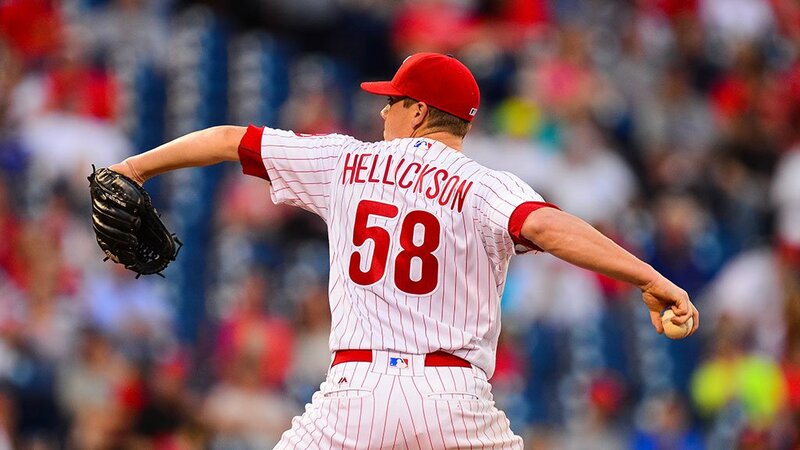 Jeremy Hellickson was outstanding last night and the bats got a Phillies starting pitcher some runs, 4-1. Allowing only one run in eight innings, Hellickson evened his record at 7-7. It was his longest outing since last August 11 when he also went eight innings in defeating the Phillies. Phillies starters have tossed at least 6.0 innings in each of their last seven starts, their longest streak since May 2-8, 2014. Hellickson has done it eight straight starts, a career high. Offensive star was Tyler Goeddel who started in left. The rookie had a two-run homer to right field in the first and a run-scoring single in the next inning. He had only three RBI in his previous 43 plate appearances, dating back to June 10. Before the homer he was 0-16. He has seven RBI in six games vs. the Marlins. Eight wins for Velasquez and seven for Hellickson are more than any Phillies starter a year ago: Aaron Harang (6-15), Cole Hamels (6-7) and Aaron Nola (6-2) . . . While the offense did produce four run they are a chilly 1-17 RISP in the three games . . . 2-4 series and homestand ends tonight . . . Then a short flight to Pittsburgh for a three-game weekend series. Lehigh Valley IronPigs (58-40), 3rd place, International League North Division. Won 2-0 in Indianapolis to sweep the series. WP: Jake Thompson (9-5), 6-3-0-0-4-5, stretching scoreless innings streak to 22; backed by 3 GBDPs; 6-0, 0.58 ERA in last 9 starts. SV: Luis Garcia (4). LF Nick Williams, 2-run HR in top of 1st, #9 . . . Adam Morgan (2-1), 7:05 tonight in Louisville. Reading Fightin’ Phils (66-31), 1st place, Eastern League Eastern Division. Lost, 4-2, in New Hampshire; 0-10 RISP. LP: Tyler Viza (3-3), 5-6-3-3-3-2. 1B Rhys Hoskins, HR (26), RBI (84), SB. OF Andrew Pullin, last 4 games, 8-17 . . . Tom Eshelman (2-0), 7:05 tonight vs. Hartford. Clearwater Threshers (17-10), 2nd, 2nd half, Florida State League North Division. Won, 5-1, in Bradenton. WP: Luke Leftwich (2-2), 5.2-7-2-2-1-4. SV: Victor Arano (3). RF Jiandido Tromp, 2 HR (3-4); combined with Lakewood, he has 14 for the season. 1B Kyle Martin, HR (13), 2 RBI . . . Will Morris (5-2), 7:00 tonight vs. Ft. Myers. Lakewood BlueClaws (15-11), 5th place, 2nd half, South Atlantic League North Division. Won 4th in a row, 2-1 vs. Kannapolis. WP: Franklyn Kilome (3-7), 6.2-7-1-1-1-9, matching career-high in SO. SV: Zach Morris (5) . . . Jose Taveras (3-7), 7:05 tonight vs. Kannapolis. Williamsport Crosscutters (18-14), 2nd, New York-Penn League Pinckney Division. Season resumes, 7:05 tonight in Batavia, Falter Bailey (1-3). Gulf Coast League Phillies, (16-7), 2nd place, Northwest Division. Defeated Pirates, 10-6, in Bradenton; fifth straight win. DH Mickey Moniak, 2 H, 2 R, 3 RBI, BB, 2 SB; 8-21 in last 5 games, 6 R, 5 RBI. CF Malvin Matos, 2 H, 2 RBI, BB; his last 3 games, 6-10 . . . 12 noon today vs. Pirates at Carpenter Complex. Time to roast marsh mellows over a bonfire of burning bats. Those bats need to be replaced. Another solid outing by a starting pitcher ends up with another one-run, extra-inning loss to the Marlins. Last night, 2-1. In their last game before the All-Star break, the Phillies scored 10 runs on 13 hits, a 10-3 win in Denver. In five games since the break, the Phillies offense has produced 10 runs on 25 hits. RISP during this time 4-25. Take away the hyphen and you have Phillie Phanatic’s weight. Tommy Joseph supplied the Phillies lone run with a blast into third row of the upper deck in left field, his second homer in two games. 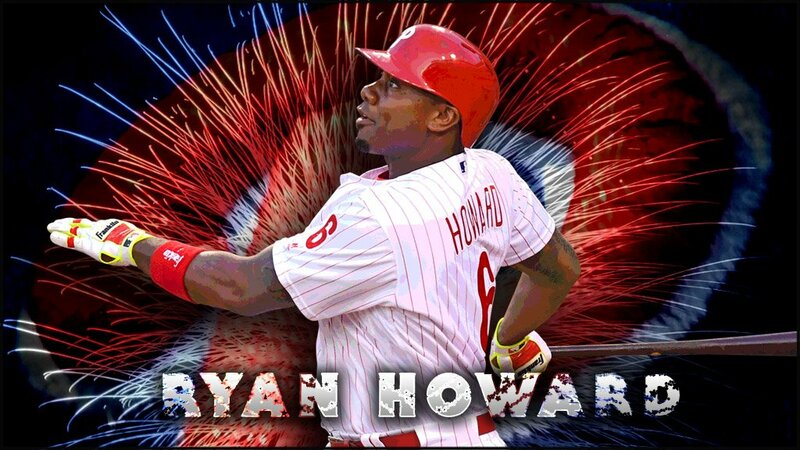 While playing first base he and Ryan Howard have combined for 23 homers. Only the Cubs have more (24) at that position this season. Ryan and Tommy each has hit 13 you say. True. But Ryan has two as a DH and Tommy, one as a PH. Jim Bunning, Steve Carlton, Pat Gillick and Mike Schmidt will be in Cooperstown, NY, this weekend for the annual Baseball Hall of Fame induction ceremonies. Ken Griffey Jr. and Mike Piazza will be enshrined on Saturday afternoon. 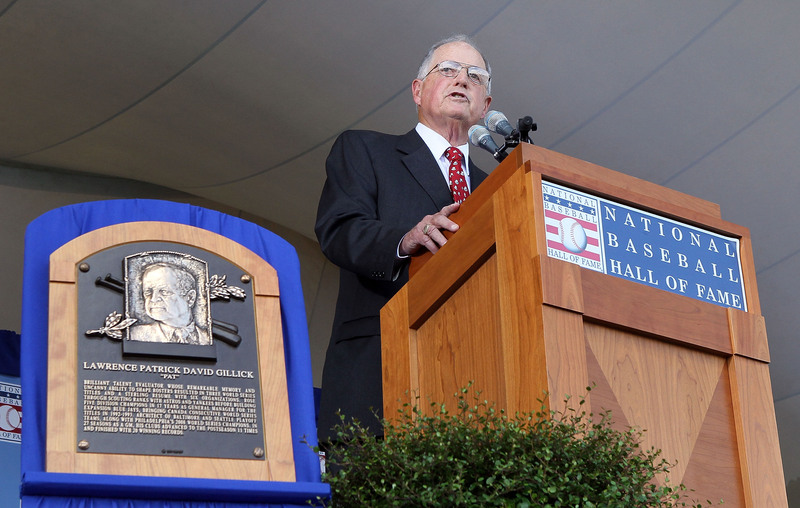 Exactly five years ago on Saturday, Gillick was inducted. (Getty Images photo). a group of Local 98 IBEW workers on the site carried signs and wore hats that read PHILADELPHIA WANTS JIM THOME. Thome stopped and walked over to shake hands with the workers. “That caught me off guard,” said Thome. Later that night while attending a Flyers game Thome received a standing ovation when introduced. Lehigh Valley IronPigs (57-40), 3rd place, International League North Division. Won 5th in last 6 games, 4-1, in Indianapolis. WP: David Buchanan (6-5), 8.2-5-1-1-2-6. SV: Luis Garcia (3). RF Nick Williams, 1B, 2B (25), RBI, R. CF Cam Perkins, 3-4, R . . . Jake Thompson (8-5), 1:35 this afternoon in Indianapolis . . . Since June 1, LV is 31-15. Reading Fightin’ Phils (66-30), 1st place, Eastern League Eastern Division. Held to 8 singles, Reading lost, 7-5, in New Hampshire. RF Dylan Cozens, 2 H, 2 RBI, R, BB . . . Tyler Viza (3-2), 12:05 this afternoon in New Hampshire. Clearwater Threshers (16-10), 2nd, 2nd half, Florida State League North Division. Getting 11 singles, Clearwater had a walk-off, 6-5 loss in Bradenton. 3B Mitch Walding, 3 H, 3 RBI. RF Aaron Altherr, 2-4, 2 RBI . . . Luke Leftwich (1-2), 10:30 this morning in Bradenton. Lakewood BlueClaws (14-11), 5th place, 2nd half, South Atlantic League North Division. Had a day off . . . Franklyn Kilome (2-7), 11:05 today vs. Kannapolis. Lost, 6-4, to West Virginia. 2B Chandler Hall, 1B, 2B, 3 R, BB; extended hitting streak to 8 games . . . Day off today, or, as some people claim, an off day. Gulf Coast League Phillies, (15-7), 2nd place, Northwest Division. Won 2 vs. Braves. 10-1 in the completion of Monday’s suspended game. RF Jhailyn Ortiz, 3H, 3 R, 3 RBI; included was a HR (5). 3B Jose Anteguera, 3 H, 2 R, RBI, BB, SB. 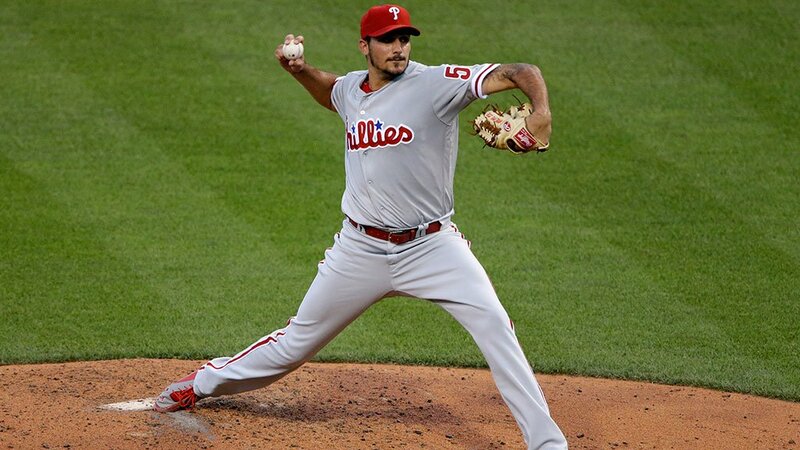 Starter Sixto Sanchez, 3-0-0-0-1-2 when the rains came, creating the suspension. WP was Nick Fanti (2-0), 5-0-0-0-0-10. Despite having only 6 singles, Phillies won the second game, 5-4. Braves committed 5 errors which contributed to 4 unearned runs. 2, one-out singles and consecutive errors allowed the Phillies to score twice in the bottom of the 9th for the win. ND: Harold Arauz, 4-5-1-0-0-3 . . . Pirates at 12 noon today in Bradenton. (According to NASA.gov, the lunar module landed at 4:18 p.m. EDT. At 10:56 p.m. EDT Neil Armstrong is ready to plant the first human foot on another world. 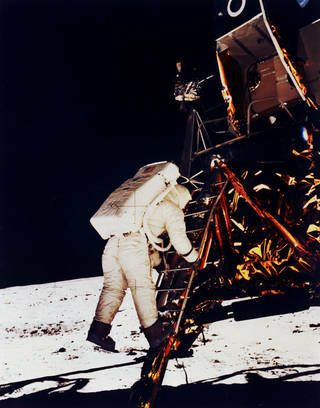 With more than half a billion people watching on television, he climbs down the ladder and proclaims: “That’s one small step for a man, one giant leap for mankind.” Photo: NASA). Today’s game of baseball is played in the bullpen and that’s where last night’s game was decided. For only the third time this season, Jeanmar Gomez blew a save, allowing two game-tying runs in the ninth. Then in the 11th Martin Prado homered to win the game. It was Prado’s 16th career home run against the Phillies by far the most he’s hit against any team. Against the Marlins’ ace, Jose Fernandez, the Phillies scored once in the first inning and again when Tommy Joseph crushed a curve ball leading off the seventh inning which turned out to be the Phillies last hit. One out later Fernandez exited and a parade of five relievers followed. In 4.2 innings, they allowed one base runner, a walk. On the other side of the coin, five Phillies relievers gave up three runs in five innings. There were 11 games in the majors yesterday. A total of 60 relief pitchers were used. Further proof of how the game is played in this era. Aaron Nola turned in his best outing since June 5, his last win. He worked six scoreless innings, his longest outing since the same date, two hits, one walk and five strikeouts. He was in line for the win until Miami scored two in the ninth . . . Cody Asche saved the game with a diving catch in the 10th and Marlins on first and second base . . . Joseph’s HR was his 12th in 48 at-bats, the fastest anyone in Phillies history got to a dozen . . . Phils are 36-3 when leading after eight innings. “That off-season, we committed to adding veteran pieces to compliment and lead our core. 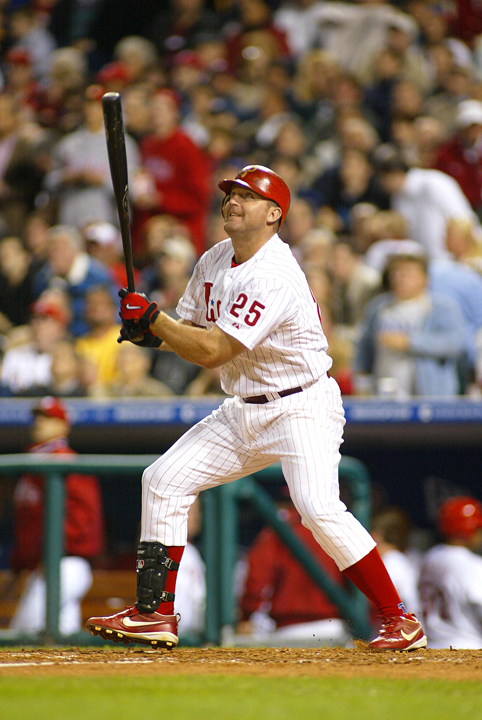 The most significant free agent target was big Jim Thome. In my mind, Jim was the ‘keystone,’ the linchpin that would validate our goal. “In my almost 40 years in baseball, there are a handful of players with whom I worked who have embodied all of the best that our game has to offer. Jim Thome is certainly one of them. 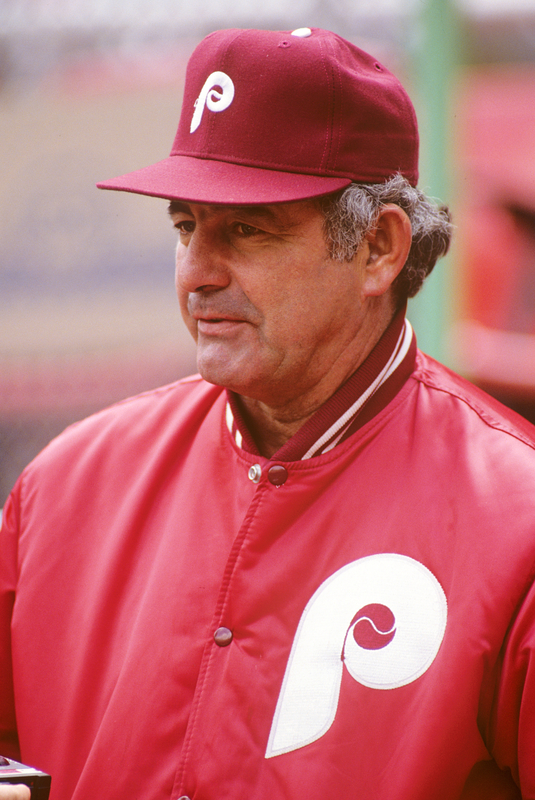 When we signed him he became a keystone of Phillies history.” Ed Wade, Phillies General Manager, 1998-2005 and current Special Assistant, Baseball Operations. 2B Scott Kingery, Clearwater… The 22-year-old batted .448 (13-29) with a double, triple, 5 RBI, a walk, 5 runs scored, 3 stolen bases and a 1.003 OPS. He leads the Florida State League in hits (104), doubles (28) and runs scored (56), is tied for third in stolen bases (25) and tied for ninth in batting average (.295). Kingery was the Phillies’ second-round in June 2015 out of the University of Arizona. LHP Elniery Garcia, Clearwater… The 21-year-old made one start, tossing a career-high 8.0 scoreless innings, 1 hit, 2 walks, 6 strikeouts. He carried a no-hitter into the eighth. He is tied for first in the FSL in lowest opponents’ batting average (.206), ranks fourth in ERA (2.23) and tied for second in wins (8-2). He’s won 5 in a row. 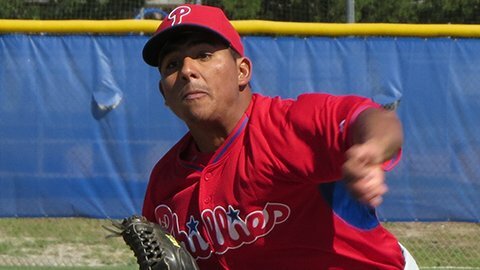 Garcia was signed by the Phillies as an amateur free agent out of Cotui, DR, on December 9, 2011. He ws also named MiLB.com Pitcher of the Week for the FSL. Two Phillies farmhands, Kingery and Lakewood C Deivi Grullon. Lehigh Valley IronPigs (56-40), 3rd place, International League North Division. 4 hurlers combined on a 4-hit, 4-0 win in Indianapolis. WP, starter Phil Klein (1-0), 5-3-0-0-0-6. LF Darin Ruf, 2 H, RBI. C Logan Moore, 2-run 2B . . . David Buchanan, 7:05 tonight in Indianapolis. Reading Fightin’ Phils (66-29), 1st place, Eastern League Eastern Division. Won, 9-5, in New Hampshire. WP: Nick Pivetta (9-4), 5-7-5-5-2-4; 5th straight W. LF Andrew Pullin, 4-5, HR (4), 4 RBI. RF Dylan Cozens, 2B (29), HR (25), 5 RBI, SB (17). 2B Jesmuel Valentin, 2 2B, 3 R, BB . . . Anthony Vasquez, 7:05 tonight in NH. Clearwater Threshers (16-9), 2nd, 2nd half, Florida State League North Division. Won 8th in last 9, 2-0, in 10 innings in Bradenton. 3B Mitch Walding, game-winning RBI single. LF Aaron Altherr, 1-4 . . . Starter John Richy, 7-2-0-0-2-2. WP: Victor Arano (3-1). SV Matt Hockenberry (2) . . . Elniery Garcia, 6:30 tonight in Bradenton. Swept DH in Charleston, SC, 3-1 and 2-0, ending a 5-2 road trip. Winning streak now at 5 games. 1st game WP: reliever Jeff Singer, 3-2-0-0-2-3; picked 3 runners off 1st. 2nd game WP: Seranthony Dominiqez (2-1), 6-1-0-0-2-6. RF Zachary Coppola, 4 H, 2 BB in DH . . . Day off today. Williamsport Crosscutters (18-13), 2nd, New York-Penn League Pinckney Division. Won 8th in last 9 games, 7-4, vs. West Virginia. WP: Ranger Suarez (3-0), 6-5-1-1-2-3. Lead-off hitter, LF Mark Laird, 3-4, BB, 2 RBI; 2nd-place hitter, SS Arquimedes Gamboa, 4-5, 2 R . . . Felix Paulino, 7:05 tonight vs. West Virginia. Gulf Coast League Phillies, (13-7), 2nd place, Northwest Division. Scoreless game called after 3 innings by rain vs. Braves. As a suspended game it will be completed this afternoon at Carpenter Complex. OF Aaron Altherr had his rehab assignment transferred from GCL to Clearwater. Had to walk about 500 feet from the Carpenter Complex to the Bright House Field clubhouse. No GPS needed. July 19, 1955, 2nd game–Playing their sixth game in four days and with Robin Roberts pitching on two day’s rest, Phillies beat Cincinnati, 6-2, in Connie Mack Stadium. Roberts had two hits and drove in three runs while pitching a six-hitter. Well, look at it this way. 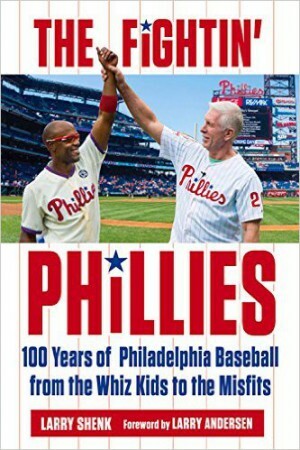 When the Phillies began the season, they went 0-4. When they began the second half, 1-2. The Mets were on the winning edge in the Citizens Bank Park series. Not surprising since they are 23-9 there since June 21, 2013. Over the last two seasons they have hit 35 home runs in 16 games in Philly, the highest total for any visiting team in any enemy ballpark. The good news: New York only has three more games this season in Philly, the final three of the season. Aaron Nola tries to get untracked tonight in the first of four-games against the Marlins, his first start since July 2. Since his last win on June 5, he’s 0-4 for five starts, allowing 30 runs in 18 innings. So, who is his opposing hurler tonight? None other than Jose Fernandez, one of the game’s best, 11-4. In his brief big league career, Jose is an unconscious 25-1 at home and only 8-12 the road which includes a 1-1 record in three starts at Citizens Bank Park. So, he’s not invincible. 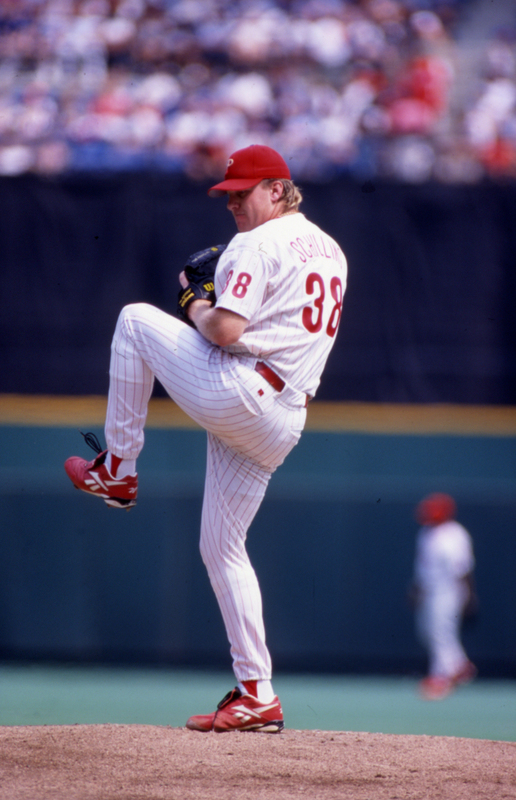 **The Phillies won their very first game against the Marlins, May 17, 1993, at Joe Robbie Stadium, 10-3. Ben Rivera was the winning pitcher. 1B John Kruk, 5-6. 2B Mickey Morandini, 1-6. Bob McClure pitched one scoreless relief inning for the Marlins. 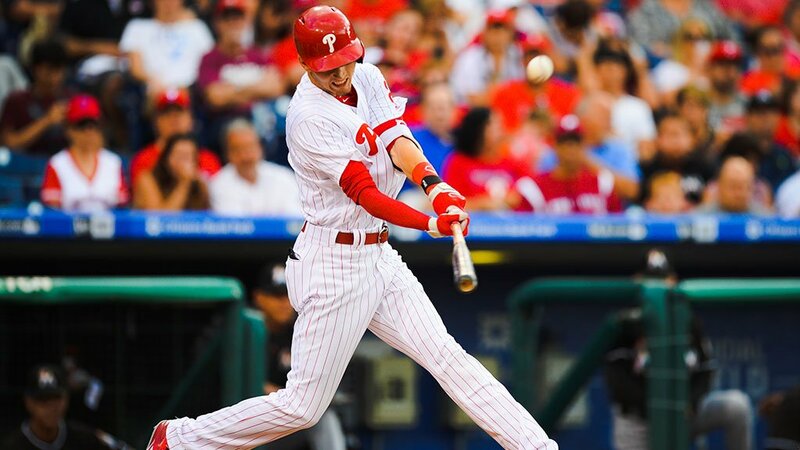 **Phillies this year hold 4-2 edge over the Marlins, 2-1 here and 2-1 in Miami. Same two teams meet again next Monday-Tuesday-Wednesday in Miami. Ichiro Suzuki has 2,994 career hits. **The Marlins lead the majors with a .287 team average on the road. Phillies are last in batting at home, .222. **Since their 5-11 start, they have gone 44-31. **47-41 record at the break was their first over .500 since 2009. **Relievers lead the NL in saves 35. 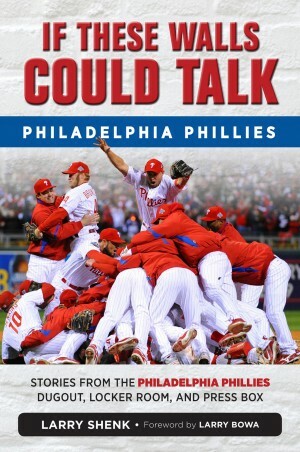 **They are 47-68 at Citizens Bank Park. **Last time the Marlins won the season series vs. the Phillies was 2008, 10-8. Ryan Howard’s 370th career home run on Saturday night win landed in the Phillies bullpen. David Hernandez retrieved the ball and tossed it a lucky fan. The 428-foot blast tied him with Gil Hodges for 77th place on the all-time list. Ryan’s game in his 5,579th at-bat; Hodges needed 7,030 AB. Next it sight is Rocky Colavito, who hit 374 (6,503 AB). Phillies minor league teams in the states have a combined record of 245-178, a .579 percentage. Lehigh Valley IronPigs (55-40), 3rd place, International League North Division. Won 2 of 3 from Buffalo. Friday was a 10-1 win, 4-3 Saturday win and a 10-1 drubbing on Sunday, which ended a 3-game winning streak. Friday WP: Jake Thompson (8-5), 7-3-0-0-1-5; 12 ground ball outs; 5-0, 0.64 ERA in last 8 GS. Saturday WP: Adam Morgan (2-1), 6-6-4-4-1-4, 2 HR. SV: Luis Garcia (2). RF Nick Williams, 6-12 weekend, 3 R, 2 2B (23-24), 3 RBI. 1B/DH Brock Stassi, 4-8, R, 2B, HR (6), 3 BB, 4 RBI . . . Phil Klein (0-0), 7:05 tonight in Indianapolis. Reading Fightin’ Phils (65-29), 1st place, Eastern League Eastern Division. 1-2 series in Trenton, 4-0 losses on Friday and Sunday. 4-1 win on Saturday, scoring 3 in T9 to win. 23rd win when opponent scored 1st. Trenton pitching held Dylan Cozens and 1B Rhys Hoskins to 3-19 and only 2 extra-hits (27-28th doubles for Cozens) . . . Nick Pivetta (8-4), 7:05 tonight in New Hampshire. Clearwater Threshers (15-9), 2nd, 2nd half, Florida State League North Division. Won 5-3 (13 innings) and 6-4 in Palm Beach and lost, 11-8, yesterday in Bradenton; loss ended 7-game winning streak. CF Carlos Tocci, 9-33 during a 7-game hitting streak; 2B Scott Kingery, 7-16 weekend, 28th 2B, 24-25 SB. C Chace Numata, 7-14 weekend, 3 RBI, including a 2-run 3B during a 3-run 13th inning Friday. 3B Mitch Walding, 9-game hitting streak, 12-31; 8 RBI . . . John Richy (2-4), 6:30 tonight in Bradenton. Lakewood BlueClaws (12-11), 5th place, 2nd half, South Atlantic League North Division. 8-4 loss Friday, 2-0 win Saturday and Sunday rainout in Charleston, SC. WP: Tyler Gilbert (5-7), 7-9-0-0-0-2. SV: Sutter McLoughlin (2). 2B Josh Tobias, 4-9 weekend, 21-22 2B, 2 R . . . Alberto Tirado (1-1) and Seranthony Dominiquez (1-1), 5:05 DH this evening in Charleston. Williamsport Crosscutters (17-13), 2nd, New York-Penn League Pinckney Division. 6-3 loss Friday and 5-4, 11-inning win Saturday in Vermont and 3-2 win Sunday vs. West Virginia. C Henri Laritgue, 3 doubles on Saturday. C-DH Brett Barbier, has hit in all 8 game to start his pro career (11-31, .355), including 1st pro HR on Sunday . . . Ranger Suarez (2-0), 7:05 tonight vs. West Virginia. Defeated Yankees East twice, 11-8 in Tampa and 5-4 in Clearwater. LF Josh Stephen, 5-7, 3 R, 3B, 1st pro HR, 6 RBI. His last 10 G: 14 H, 12 RBI, 7 R. SS Cole Stobbe, 3-8,2B, RBI. CF Mickey Moniak last 10 G: 7 R, 14 H, 9 RBI . . . Sixto Sanchez (2-0), 12 noon today at Braves. Reading: INF Carlos Alonso, transferred from Lehigh Valley; C Joel Fisher, placed on DL; LHR Jeremy Bleich, released. Lakewood: C Edgar Cabral, placed on DL.